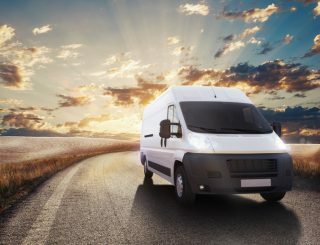 Is it time to hire a courier service for your business? Wondering what to look for to find the best one? When you have important shipments and deliveries that need to be made, the last thing you want to do is put your packages into unreliable hands. When looking for a courier, it’s important to do your due diligence and make sure you’re choosing professionals. Below we’ll give you an overview of exactly what you need to look for to find the best courier service. The first thing you’ll want to look for in a courier is top-notch customer service. A courier should care deeply about making sure you get the best service. They’ll understand that helping businesses succeed is at the center of everything they do. If there are any issues or any problems during delivery a great courier service will provide excellent communication and will be clear and honest with you. They’ll do everything in their power to fix any issues in a timely and efficient manner. A great courier will also be very easy to get in touch with for support. They’ll have multiple options and methods for you to schedule a pickup or get help with your specific needs. The best courier services will also act like professionals at all times. Great couriers treat each customer or business with respect and make sure that they are always able to do what they say they can do. While issues may arise with a delivery from time to time, there will seldom be any problems. The courier will be very efficient and will always deliver important packages on time. You need to be able to rely on any courier you choose. A great courier needs to be able to deliver fantastic results on a regular and consistent basis. The best courier services will always look for ways to make your job easier. They’ll find ways to easily communicate with you and ensure that you’re getting everything you need from their services. Having multiple ways to contact them is a good first step. ASAP Courier, for example, lets you schedule deliveries in multiple ways either by using an app, by phone, or online. A great courier will always put your needs first. They’ll communicate well and always work to fully understand what your needs are. When you hire courier services you also want to make sure you’re getting the best value for your money. It’s important not to choose a courier that is too cheap as you’ll often get what you pay for as a result. You won’t be satisfied with the delivery services, the customer service, or their efficiency. Packages may arrive late or not at all. On the other hand, you shouldn’t have to pay a fortune for great courier services either. Look for a courier who provides the services that you need while still being able to quote reasonable prices at the same time. It’s important to consider what your business needs from a courier service. A courier needs to have the specific services that you require for shipments and deliveries. Not all businesses have the same needs and not all courier services have what it takes to meet your expectations. For example, you may need refrigeration capabilities during shipping, long distance shipment options, or warehousing services. If you need something special be sure to ask about it beforehand so that you’ll be sure to get what you need. Additionally, make sure that the courier provides some extensive tracking options so that you can always be kept fully aware of a delivery’s progress and if everything is on schedule. Some couriers will only provide options for basic deliveries in the local area, while some will be able to manage all kinds of deliveries including expedited or long distance shipments. If there’s anything else you need find out about delivery options or the kinds of shipments they can handle you need to find out beforehand. Some couriers will have no problem dealing with fast delivery and rush orders. Others will have options for air freight along with many types of ground shipping options. The more services and features provided, the better. The more options a particular courier has for delivering a package, the better off your business will be and the less likely it will be that a delivery isn’t made on time. A great courier service will have enough manpower to get deliveries done with efficiency and finesse. They’ll also have very skilled workers who know exactly what they’re doing. A courier’s drivers should be fully licensed and insured. They should also be able to present themselves professionally and communicate well with anybody they come into contact with when making a delivery. They should be well dressed and present themselves well. Look for a courier service that has the right people to get the job done and plenty of manpower to never fail to deliver or run behind. Ready to Get Started With a Great Courier Service? When it’s time for your business to hire a courier service it can be difficult knowing what you should be looking for. However, remember that not all couriers are created equally. Some couriers can deliver on their promises better than others. It’s important to consider the above points carefully if you want to make sure you’re choosing a courier service that serves your business needs well. Looking for a courier service in Florida? Contact us today to learn more about what we can do for you and your business.